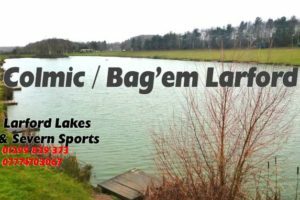 The final round of the winter league was fished on the Match and Specimen Lakes. The 44 anglers in the 11 teams faced bitter weather and highs of just 5C and little wind. First on the day was Steve Ford (Mosella / Bag’em) from peg 30 on the Match Lake. Steve caught on long pole and pellet to weigh in 165-04-00. In second place was Chris Senter (Mosella UK) from peg 48 on the Match Burr. Chris landed 93-01-00, catching on long pole and waggler. Third on the day was John Breese (HT Angling) from peg 50 on the Match Burr and weighed in 60-15-00 and caught on long pole. Fourth was Warren Jennings (Bag’em) from peg 54 on the Match Burr. Fifth was Jordan Holloway (Catch More) from peg 28 on the Match Lake grass. Jordan caught on pole and pellet, landing 49-11-00. Sixth on the day was Craig Jones (HT Angling) from peg 46 on the Match Burr. Craig fished long pole and pellet landing 43-10-00. Also progressing to the Classic final in May is Alison Jones. Cookie Monsters won the league, picking up £800, with just 90 points. Second is Winter Wonders who picked up £600 with 104 points. Third is Garbalino, picking up £450 with 120 points. Fifth is HT Bait Tech, picking up £150 with 131 points.